The world’s largest integrated oil and gas company, Saudi Aramco plans to spend $334 billion in oil and gas investments by 2025 for infrastructure and new projects (including the development of unconventional resources such as shale gas) to maintain its production capacity. Domestic investments will mainly concern upstream activities to maintain adequate spare crude oil production (1.5-2 million barrels per day (mbpd) of reserve capacity). Two ongoing developments will increase the production capacity by 550,000 bpd. Meanwhile, Saudi Arabia’s Vision 2030 plans to maintain the petroleum production capacity at 12.5 mbpd until 2020 The Khurais field expansion project, launched in 2016, is expected to increase the field’s output to 1.5 mbpd through an additional 300,000 bpd. The field will also produce 4 bcm of gas and 34 kbpd of NGL. To deal with the increasing demand for oil products, the country is expecting to increase its refining capacity by expanding existing facilities and constructing new refineries. A refinery of 400, 000 bpd is under construction in Jazan and should be commissioned in 2020. The refinery will be capable of processing Arabian crude oil to produce 75, 000 bpd of gasoline, 100,000-160,000 bpd of ultra-low-sulphur diesel and 160,000-220,000 bpd of fuel oil. Satorp, (Saudi Aramco Total Refining and Petrochemical Saudi Aramco 62.5 per cent, Total 37.5 per cent), is considering expanding by 10 per cent the capacity of its 400,000 bpd refinery in Jubail (Saudi Arabia). The company also released tenders to renovate and add new units to the Ras Tanura refinery (with a current capacity of 550,000 bpd) by 2020. The EPC contract was awarded to the Spanish company Tecnicas Reunidas in January 2017. Saudi Arabia continues to target a rapid increase in its gas production, with a focus on increased penetration of gas in power generation. The country aims to double its gas production capacity in ten years from 11.6 billion cubic feet per day (bcfd) to more than 20 bcfd in 2025. Imports are also considered to keep pace with soaring domestic gas demand. 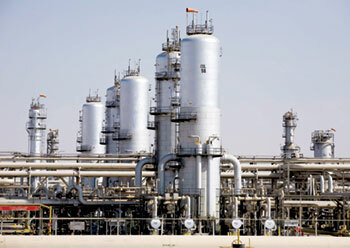 Two gas plant projects are currently being developed by Saudi Aramco. The Midyan Gas Plant was scheduled to be operational by the end of 2016 but was delayed. It finally becam operational in 2017 and the ramp-up is impending. It will process 75 mmcfd of non-associated gas and 4.5 kbpd of condensate, while the $13.3 billion Fadhili gas processing project, expected in 2019, will have a capacity of 2.5 bcfd. Both projects include the construction of power plants. Meanwhile, Saudi Arabia has handed Aramco its state-owned oil company a 40-year concession to exploit the kingdom’s oil and gas reserves as part of the oil giant’s preparations for an initial public offering (IPO). The new arrangement replaces norms dating in some cases from 1933, when Saudi Arabia first allowed companies to drill for oil. Saudi Arabia’s Crown Prince Mohammed bin Salman launched the proposal to sell up to 5 per cent of Aramco’s shares to investors in 2016, as part of his Vision 2030 reforms aimed at modernising the Saudi economy and reducing its dependence on oil. Analysts have long challenged Saudi suggestions that selling a 5 per cent stake in the firm could raise $100 billion. Media speculation has centred on the possible cancellation of the floatation amid rumours of over-valuation of the company and a lack of investor interest. Saudi Aramco itself has denied the reports. Saudi Aramco is currently focused on a deal to buy a majority stake in the Saudi Basic Industries Corporation (Sabic) worth as much as $70 billion. 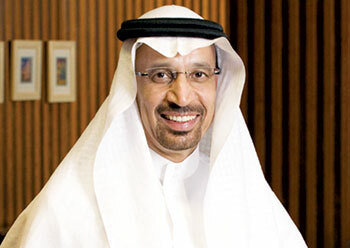 However, Khalid Al Falih, the Saudi Minister of Energy, Industry and Mineral Resources, states that the kingdom remained "committed to the IPO of Saudi Aramco at a time of its own choosing when conditions are optimum." As part of the share sale preparations, the kingdom has reissued "a long-term exclusive concession" to the state-owned company, Al Falih states. Saudi Arabia has dismissed reports that it has dropped plans to list state oil giant Saudi Aramco, saying it remains committed to the initial public offering (IPO) "at a time of its own choosing when conditions are optimum," and with the firm now focused on its acquisition of domestic petrochemicals producer Saudi Basic Industries Corp (Sabic). The Aramco IPO had been intended to generate $100 billion to help fund the reforms, but with market conditions making such a windfall from a 5 per cent Aramco floatation unlikely, the focus has shifted to generating cash for the PIF from the Sabic sale. The company is going through feasibility studies to evaluate Sabic and what would happen to the profitability of the petrochemical firm once gas prices rise and tougher utility regulations come into force in Saudi Arabia in the coming months. Headquartered in Dhahran, Saudi Arabia, Aramco manages the kingdom’s proved reserves of 332.9 billion barrels of oil equivalent. To supply global markets, major export shipping terminals are located at ports on the Arabian Gulf and the Red Sea, while domestic demand is served through a kingdom-wide network of strategically situated refineries and an extensive natural gas pipeline system. Notwithstanding an improved market picture, the oil industry’s preparedness for the future remains in question as the sector has lost an estimated $1 trillion in planned investments since the market downturn began. The situation becomes more disconcerting when seen in the light of global demand growing at the rate of 1 to 1.5 million barrels per day annually, and maturing oil fields around the world exhibiting steepening natural declines that must also be offset by continuing investment in the industry, says Falih in the Review. To respond to this situation, significant new investments are required in additional capacity and expanded and upgraded infrastructure, as well as the development of pioneering technology to make petroleum energy more sustainable and accessible. Saudi Aramco is committed to playing its unique part in meeting the world’s energy needs today and tomorrow by continuing to invest wisely throughout the cycle and across the value chain, reinforcing its preeminent leadership position in the industry, he says. Because petroleum is expected to remain a major part of the world’s long-term energy mix, Saudi Aramco is not only investing to further strengthen its premier upstream oil position, but also working diligently to lighten the carbon footprint of oil. "We are leveraging our excellence in research and innovation to address areas of strategic technology importance. These include advancing sustainable transport through the development of ultra-clean and integrated fuel engine systems of the future, and driving other high-impact solutions such as carbon capture, utilisation, and storage as well as beneficial uses of carbon. In addition, considering the projected rapidly growing role of cleaner natural gas, the company expects to double the domestic production of gas while taking steps to establish a profitable international gas business," he says. Concurrently, Saudi Aramco is moving steadily to build a world leading position in the downstream segment of the business. As detailed in the Annual Review, state-of-the-art refining and marketing manufacturing complexes continue to be implemented in the kingdom and in the fast growing markets of Asia and the United States. Oil feedstocks are playing an increasingly larger role in the company’s petrochemicals production, which is on its way to becoming a world-class business. In addition, differentiated and branded base lube oils, manufactured at wholly owned and joint venture facilities, are moving toward a leading international position. Aramco believes this stronger downstream portfolio will not only add more value, promote sustainable growth, and secure outlets for future oil production, but also strengthen the company’s resilience and robustness. "We must be able to depend upon a reliable supply chain for Saudi Aramco to remain the lowest cost operator and the most reliable supplier of oil," he says. That is why the Board supports the localisation of goods and services within Saudi Arabia with the aim of enhancing the efficiency and reliability of the supply chain, helping industrialise and diversify the kingdom’s economy and promoting small- to medium-sized enterprises. Besides advancing the company’s strategic and operational goals, these initiatives are also fully aligned with Vision 2030, the kingdom’s blueprint to develop and diversify its economy and position it as an economic powerhouse for the 21st century. In the meantime, the company continued to prepare itself for the listing of its shares, a landmark event the company and its Board anticipate with excitement. To intensify the development of a world-class workforce ready to man and steer its expanding domestic and international businesses, to help the kingdom’s youth seize these wide-ranging opportunities, and to rapidly grow the proportion and participation of women in its workforce, Saudi Aramco is committed to supporting education and training in science, technology, engineering, and mathematics (STEM), as well as finance, business, and other important disciplines. These efforts will not only strengthen the growing industrial base in the kingdom, but also help realise the ambitions of the Saudi people, says Falih. "To maintain our preeminence in the upstream sector, we remained focused on our core objective of creating and sustaining value from the kingdom’s hydrocarbon resource base for generations to come. We discovered two new oil fields in 2017 and stayed on course to increase the capacity of our Khurais field by 300,000 barrels per day in 2018. In gas, we readied our Midyan nonassociated gas field, commenced projects to expand production and processing capacity, and brought online the first unconventional gas in Saudi Arabia. Boosting our gas supplies is in line with our core upstream objective to provide additional fuel and feedstock for local industry while enabling increased exports of higher value liquids," says Aramco president and CEO Amin Nasser in the Review. In the downstream sector, Aramco’s primary objective is to extract maximum value along the hydrocarbon value chain and elevate its downstream business to the level of leadership it enjoys in upstream. In pursuit of this objective, the company continued to expand its global network, completing key agreements and projects. In the United States, the full acquisition of Motiva Enterprises was finalised, with Saudi Aramco retaining the Motiva name and becoming the sole owner of North America’s largest single-site crude oil refinery at Port Arthur, Texas, he says. In Malaysia, Aramco reached an agreement with Petronas to participate in Rapid, a refinery and integrated chemicals complex in the state of Johor. In China, it signed a Memorandum of Understanding with Norinco, a diversified industrial conglomerate, to participate in the expansion of one refinery and build a new one. And in Saudi Arabia, the company fully commissioned the Sadara chemicals manufacturing plant, its joint venture with Dow Chemical. Elsewhere, Aramco continued to seek solutions for safe, sustainable, and reliable supplies of energy that help to address the climate challenge. "We sustained growth while maintaining strong cost discipline, enabled by our Operational Excellence programme," says Nasser.